I'm competent, compassionate, and highly responsible. You can relax with absolute confidence I will take excellent care of things for you. I'm an adventurous kiwi health professional, living and working in Australia recently. I love exploring new places, and travel with purpose ( being there for a reason) has generated the most wonderful experiences in off the beaten track locations. Apart from Pacific nations like Tonga, Timor- Leste, Cook Islands, Papua New Guinea and Nauru, I have visited Namibia, Mali, Ethiopia, Canada, France, Switzerland, Greece, Turkey, Ireland, northern India ( x2). Relationships are my professional expertise and my joy, and that includes with animals of all kinds. I am warmly and humourously known for my 'animal languages' I create when communicating with pets. Pets who have shared my own life with me: horses, ducks, dogs, frogs, cats, pigs, hens, and a lovely jersey cow called Bossie, whom we milked and made our own butter. A long time home owner, and I have cared for and renovated several of my own homes. My cottage in New Zealand is currently rented out while I free myself to explore. My childhood was blessed with growing up in rural New Zealand, on organic market gardens, with 600 free range hens and a Jersey cow we milked and made butter from. 'Bossie' the cow even allowed me to ride her like a horse around our small farm. Loved it! To experience life as a local is the best way for me to enjoy myself and to learn so much more about life. And like many other house sitters, its a great way to travel affordably and get in under the tourist radar. It's an amazing experience to share home and community of hosts. I'm also very happy in rural and remote locations, and have been trained in my profession to manage with safety and confidence, as well as being blessed with a rural upbringing. Being in your home and community would be a privilege, and what a bonus to have your pets to give my attention to! I am truly and genuinely an animal lover. If you have no pets, but just want your place cared for, I am just as happy to attend to other things for you. Forming a trusting relationship with you as homeowner would be a pleasure, and looking after your home a responsibility I take most seriously. I recently spent time with family at home in New Zealand, and enjoyed doing a longer house sit locally, until June 2016. I then returned to employment in Central Australia. 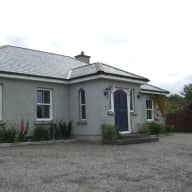 I have been asked to do repeat house sits in Ireland and France, and so I'm always excited to be heading to Europe to see my pet friends again. Home owner, gardener, business owner, and lots of previous pet experience. I have looked after many friends homes in the past. 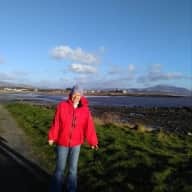 Since 2015 I have been doing more formal houseSits with Trusted HouseSitters and another quality House Sitting website, Nomador, where I have more excellent references. I bring a sensible, mature and astute problem solving capacity along with a desire to always to a good job. A rural and village childhood with pets central to our lives, brings a natural comfort and ease around animals. 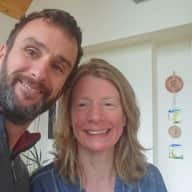 I currently have no pets due to working throughout the Pacific, so would love to help out with yours. Although nature and the outdoors are endlessly interesting to me, I enjoy exploring cities; art galleries, gardens, parks and street life ( especially Paris) and there is still so much to see in the world. I bring a level of responsibility to the role of house sitter, from my professional life where I have held senior roles and managed teams. I have also been quite self directed and have developed and launched several of my own businesses, including a tourism company. These roles require attention to detail, which I think is complimentary to the role of house sitter. Already the first day when Faye came to our house, we knew we had the right person for our dog. Unfortunately, our dog was very sick at the time, when I informed Faye about it, it was no problem for her to stay with our old Lady and take care of her with all her love. Faye is such a wonderful person and I would always trust her to look after our animals and house again. She is so loving with animals and their needs. It was a pleasure to have Faye here. She was great with the dogs and Max the cat. When I came back from our weekend away Faye had a lovely dinner waiting for me. SHe's welcome back anytime. When Faye first came into my home, my dogs didn't even bark! That's how easy-going she is. Faye made herself at home while respecting that she was in my house; she took wonderful care of my 5 animals - 2 large dogs, 3 cats. When I returned after 2 weeks, though my gang was pleased to see me, it was obvious that they were very well looked after. I was sorry that we did not have more time together, as I enjoyed her company as well! Looking after Tara's " gang" of character animals was a real pleasure. I enjoyed many humorous moments with their antics. 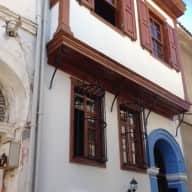 Ayvalik is such an interesting town, and listening to the call to Prayer through the open windows was a cultural delight. Tara made sure I had everything I needed, including setting me up with her friends who included me in outings and social events. So much appreciated Tara. The memories will last a long time, thank you. 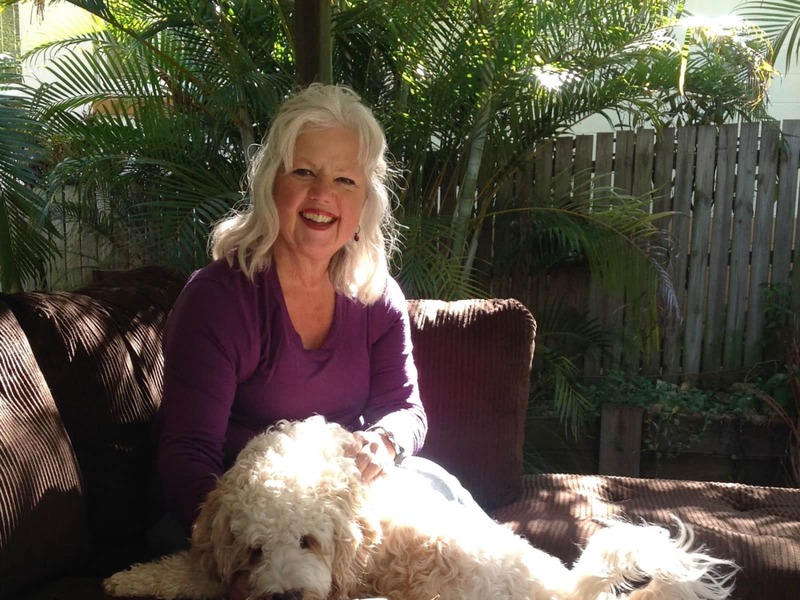 I would recommend Faye Gorman as Housesitter & pet sitter as I would a close friend. My dog Bo loved her company & my home loved her care & thoughtfulness leaving it cleaner than I left it. Trusting, loyal, great sense of humour & big heart. fAYE turned out to be the perfect home sitter for us. She took care of my dog and both got along just well. My dog is usually very anxious when we go away, and this summer when we flew to Italy for 2 weeks vacation, she came home a week before we left and I showed her around so she could get her way around easily. So the dog got to know her well before we left. She did not only was the prefect dog sitter but also home sitter. She watered plants in my garden, mowed the lawn and took good care of mt garden. She even watered the plants at our hotel (just a block away). We were so fond her that we were very sad when she had to go the day after we returned. Faye is just a wonderful and trustworthy women and she even became a friend and we still get in touch throught mail and facebook. Nobody could get a better homesitter than Faye. Faye house sat our home for a week. She was required to feed 2 horses, a parrot, a large and small tank of fish, water plants and general house cleaning. I found Faye to be very friendly, honest and conscientious and took her housesitting duties very seriously. She was very capable and I came to home to happy animals and a beautifully clean and tidy house. We had the pleasure of Faye house sitting for us recently while we travelled overseas. 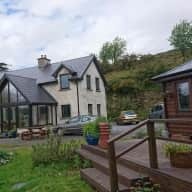 We had never used a house-sitter previously and were unsure about using the site but we were so pleased we did. Faye is an amazing house-sitter, and looked after our pets (dog and cat) and house like they were her own. The house was cleaner on our return than when we had left! Faye kept in touch with us while we were away, giving us regular updates on the house and our pets welfare which we really appreciated, and let us enjoy the holiday even more. Faye is extremely reliable and professional, and went well above and beyond our expectations. We would highly recommend Faye for any house-sit she may apply for. Thank you Faye! I have known Faye for 16 or 17 years and she has remained the same reliable, steadfast person. I would trust my house or even my life to her. Faye Gorman stayed at my house for two weeks and looked after my house, garden and elderly Burmese cat. She was a warm friendly and a great communicator keeping me up to date on the health of my beloved cat. I was thrilled when I returned as the house was looking better than when I left it. I have known Faye for 25 + years. She is reliable and respectful and very relational. 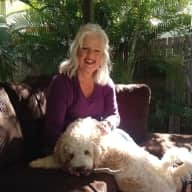 She would look after someone's home with real care and would form a relationship with the home owner seeking to know what was important to them. She has looked after pets for others and has done so with care and attention. I have no hesitation in recommending her to house sit.